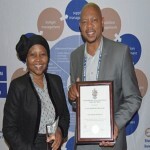 In partnership with Free State provincial department of Police, Roads and Transport, Ngwathe Local Municipality is successfully implementing roads repairs and maintenance programme, including the rebuilding of strategic roads within the municipality. 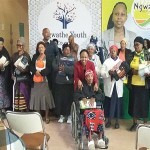 The project which started in 2013, is a result of Mayoral Imbizo, where the executive mayor, Joey Mochela, and councillors embarked on a roadshow with the purpose of reporting back to the community on service delivery achievements and noting critical concerns raised by the citizens of Ngwathe. All roads in both Parys and Tumahole are receiving attention, focusing on main arteries and secondary roads. “Our main target now is strategic roads linking Parys with other areas such as Van Coller Street to North West and Bree Street which is another main road linking N1 and R59. 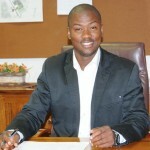 St Jan, Dwars, Schilbach, Phillip and many other streets in Parys are on the pipeline with Kruis Street due to be re-built in partnership with Fezile Dabi district municipality,” said Mochela. With the recent launch of Kasi Tourism by MEC for economic development, tourism and environmental affairs, Mosebenzi Zwane, streets such as Brown, Tladi, Koloane in Tumahole are already being repaired to inspire local tourism in the rapidly economically growing township. 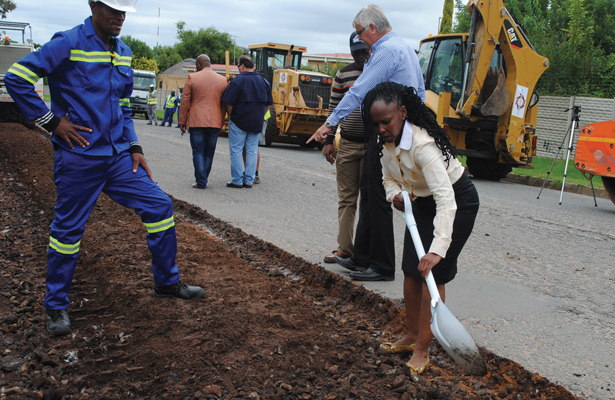 During her tour through municipal roads, Mochela expressed gratitude to the taxi industry after they temporarily relocated the Parys taxi rank to allow road repairs to continue smoothly. Revitalization of old townships is another initiative under Operation Hlasela, initiated by premier Ace Magashule, which has seen most streets in the township being paved.